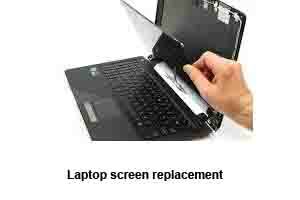 We are number 1 choice in Balham for laptop screen repair. We do all type of screen replacement for laptops including Macbooks, Netbooks, Workstations and PC laptops. For quality parts and workmanship from certified engineers, count on us! What is wrong with my laptop screen? 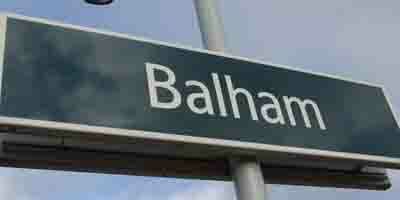 If you live in Balham, just come to us for a free diagnosis. Otherwise, we have listed some common screen problems for you to diagnose the problem yourself. Broken / Cracked screen: A broken laptop screen cannot be repaired. It can only be replaced by a new LCD display. The cost of screen replacement depends on the make and model of your laptop and the quality of the replacement screen used. Beware of cheap imitation that are available online. Always use good quality screen when replacing. No display: If the only thing you see is a white or a black screen (no display), then it could suggest either a faulty screen cable or the faulty screen itself. Sometimes, it is a very small problem and could be rectified by just disconnecting and reconnecting the screen cable. Otherwise, the screen cable or the screen needs to be replaced. Screen flicker: If the small area or the whole screen is flickering after a while of turning on, then most probably it is the screen which is on its way out. It needs to be replaced with a new one. Very dim display: This problem suggests that the backlight for the LCD display is not working. If it is an old style LCD display then normally the inverter board is the culprit. Otherwise, motherboard or the screen panel could be the cause of the problem. Either way, it should be left to a professional to be fixed. Vertical or horizontal lines: If you can see the picture on the screen but horizontal or vertical lines are also showing up then most probably it is because of the fault with the graphics chip. The graphics chip is located on the motherboard. It can be repaired but the repair does not last long. Therefore, we do not recommend this type of repair. In this case, the motherboard should be replaced. We get quite a few jobs from Balham for laptop screen repair / replacement. Most of the jobs from Balham are for shattered screens and do not need a further diagnosis. Some of the jobs are not that simple. We recently for a job from Balham for a Compaq laptop with no display on the screen. If the screen is showing no display then it does not simply mean that the screen is faulty. There could be other factors for causing these symptons. Our engineer diagnosed the laptop and found out a faulty connection on the motherboard was causing the problem. He fixed the connection and the laptop started to work again like new. The client from Balham got the laptop back the next day and was very pleased with the service. We, at PC Macgicians, specialise in PC and Mac computer repairs in Balham, SW12. Our repair centre is based in Putney (just round the corner from Balham), but we do onsite repairs all around London. Our engineers are always present around Balham fixing client’s computers at their premises.